I’m not sure the formal definition for gesture drawing. Leonardo DaVinci did it all the time. Waaaay back, when I was in college, we were taught the technique in order to de-stress, to loosen up and to relate to our subjects in an entirely different way. It is a “no judgment” form of art. 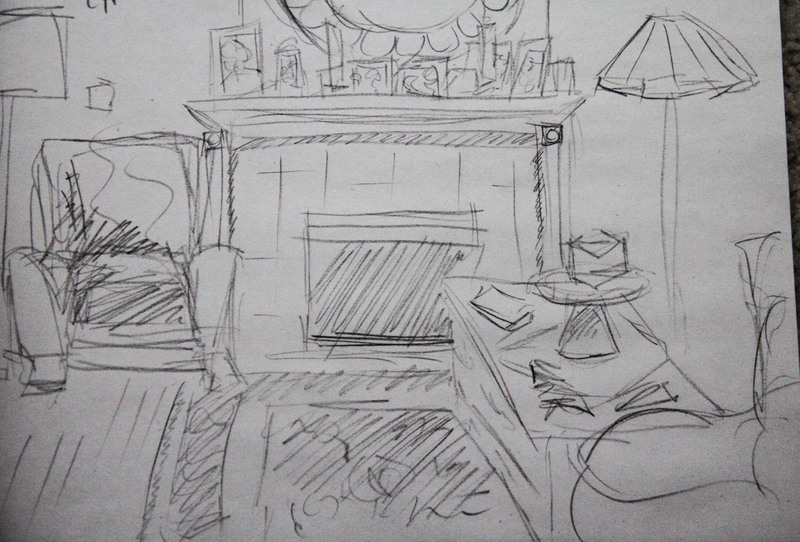 All it takes is a pencil, some paper and the inclination to look around you. Focus on something and begin to draw…no erasing. Keep it loose and free. Try not to perfect it, try not to correct, simply let yourself feel the essence of the subject. This is more relational than visual. And it’s a brilliant way for everyone to begin to draw. The focus is less on creating a likeness than on creating a feeling. At any rate, if you are like me, eventually you’ll tighten up. I can start out very loose. But then that’s never enough. One more line, just a little more shading. In my mind I must try a little harder, and before long it’s no longer gesture…it’s “I am irrelevant unless I can create something masterful.” And then of course, all the fun is gone. A gesture drawing should never take more than about 5 minutes. When you start feeling anxious, stop. Try drawing something else. Or simply walk away. The beauty of this technique is that it takes about 15 minutes out of your day. It doesn’t have to be lovely. It doesn’t even have to be good. It just has to be fast, before that higher part of you brain wants to take over and tell you it’s not good. Interesting exercise. A pad of paper and a pencil. No eraser. Not because you won’t make mistakes. But because worrying about mistakes is just not the point. 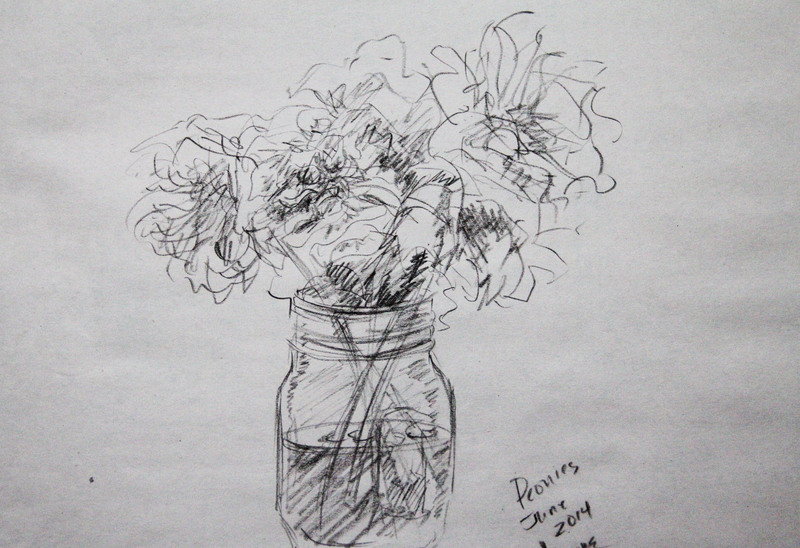 This entry was posted in art, Creativity and tagged drawing, peonies, visual by edges. Bookmark the permalink.